O.J. Simpson faces prison sentence of 15 years to life. 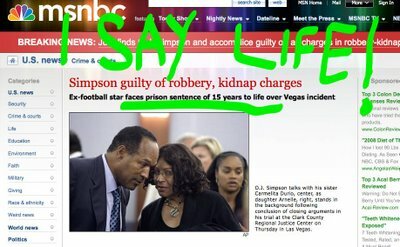 Btw, the verdict comes 13 years to the day that he was acquitted of the murders of Nicole Simpson and Ron Goldman.